No more saying "shut the door!" 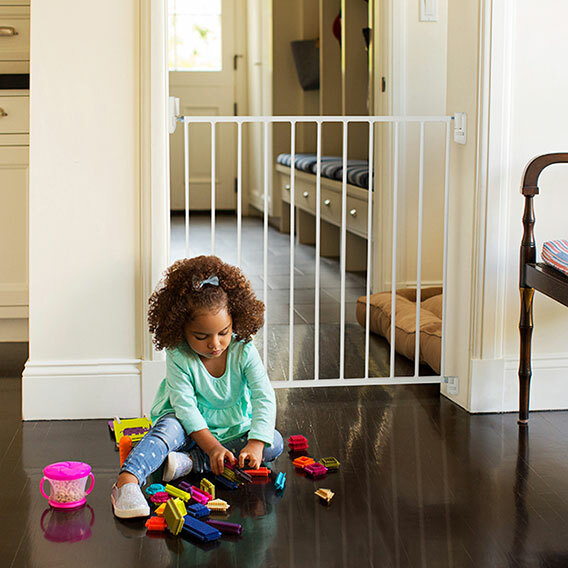 With the Sure Shut™ Safety Gate by Munchkin installation is easy with its single gate panel configuration made to fit the most common doorway widths with ease, and it's equipped with a unique tilting spring mechanism to reduce stress on walls every time it's used. With no bar running along the bottom, this is a safe option to use at the top or bottom of stairs--no tripping hazards! Handy quick-release settings allow for quick and easy removal when needed too. Safe for use anywhere in the home, best suited for staircases.